ROME, May 9 2017 (IPS) - Hundreds of migrants along North African migration routes are being bought and sold openly in modern day ‘slave markets’ in Libya, survivors have told the United Nations migration agency, which warned that these reports “can be added to a long list of outrages” in the country. The International Criminal Court is now considering investigating. The International Organization for Migration (IOM) had already sounded the alarm after its staff in Niger and Libya documented over the past weekend shocking testimonies of trafficking victims from several African nations, including Nigeria, Ghana and the Gambia. 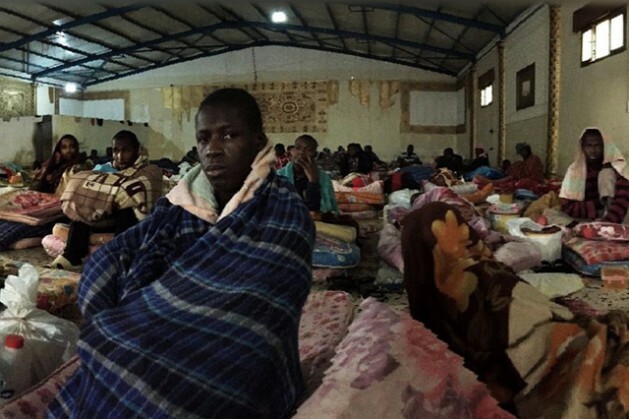 They described ‘slave markets’ tormenting hundreds of young African men bound for Libya. Operations Officers with IOM’s office in Niger reported on the rescue of a Senegalese migrant who this week was returning to his home after being held captive for months, IOM had on April 11 reported. According to the young man’s testimony, the UN agency added, while trying to travel north through the Sahara, he arrived in Agadez, Niger, where he was told he would have to pay about 320 dollars to continue North, towards Libya. A trafficker provided him with accommodation until the day of his departure, which was to be by pick-up truck, IOM said. But when his pick-up reached Sabha in south-western Libya, the driver insisted that he hadn’t been paid by the trafficker, and that he was transporting the migrants to a parking area where the young man witnessed a slave market taking place. “Sub-Saharan migrants were being sold and bought by Libyans, with the support of Ghanaians and Nigerians who work for them,” IOM Niger staff reported. Abdiker added that in recent months IOM staff in Libya had gained access to several detention centres, where they are trying to improve conditions. So far this year, he said, the Libyan Coast Guard and others have found 171 bodies washed up on Mediterranean shores, from migrant voyages that foundered off shore. The Coast Guard has also rescued thousands more, he added. Many describe being sold “in squares or garages” by locals in the South-Western Libyan town of Sabha, or by the drivers who trafficked them across the Sahara desert. “To get the message out across Africa about the dangers, we are recording the testimonies of migrants who have suffered and are spreading them across social media and on local FM radio. Tragically, the most credible messengers are migrants returning home with IOM help. Too often they are broken, brutalised and have been abused, often sexually. Their voices carry more weight than anyone else’s,” added Doyle. So far, the number of Mediterranean migrant arrivals this year approaches 50,000, with 1,309 deaths, according to the UN migration agency. 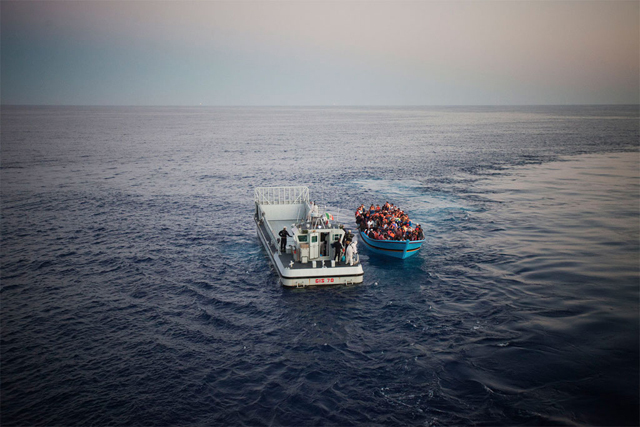 In view of these reports, the Prosecutor of the International Criminal Court (ICC) on 8 May told the United Nations Security Council that her office is considering launching an investigation into alleged migrant-related crimes in Libya, including human trafficking. “My office continues to collect and analyse information relating to serious and widespread crimes allegedly committed against migrants attempting to transit through Libya,” said Fatou Bensouda during a Security Council meeting on the North African country’s situation. 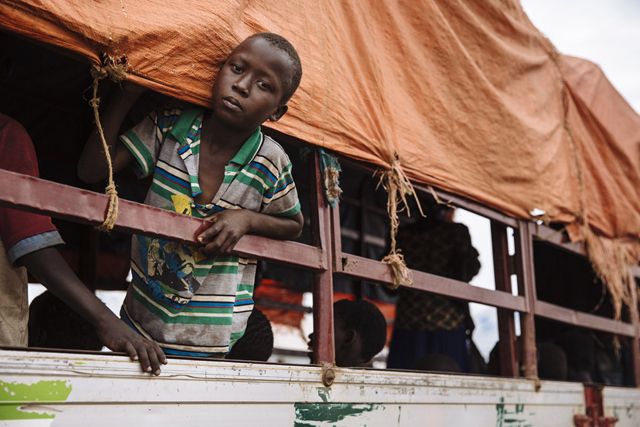 “Saving lives must be the top priority for all and, in light of the recent increase in arrivals, I urge further efforts to rescue people along this dangerous route,” said the UN High Commissioner for Refugees (UNHCR), Filippo Grandi. The Central Mediterranean – with smugglers trafficking people from the shores of Libya to Italy – has proven to be particularly deadly. Out on the open sea, approximately 1,150 people have either disappeared or lost their lives in 2017. As the “Central Mediterranean route continues to be particularly dangerous this year, also for 2016 the UN recorded more deaths at sea than ever before. The main causes of shipwrecks, according to UNHCR, are the increasing numbers of passengers on board vessels used by traffickers, the worsening quality of vessels and the increasing use of rubber boats instead of wooden ones.